Street Curling™ is iceless curling that allows winter's hottest sport to be played virtually anywhere - without the high cost of refrigeration! Rinks are easy to maintain, simply requiring a clean surface. 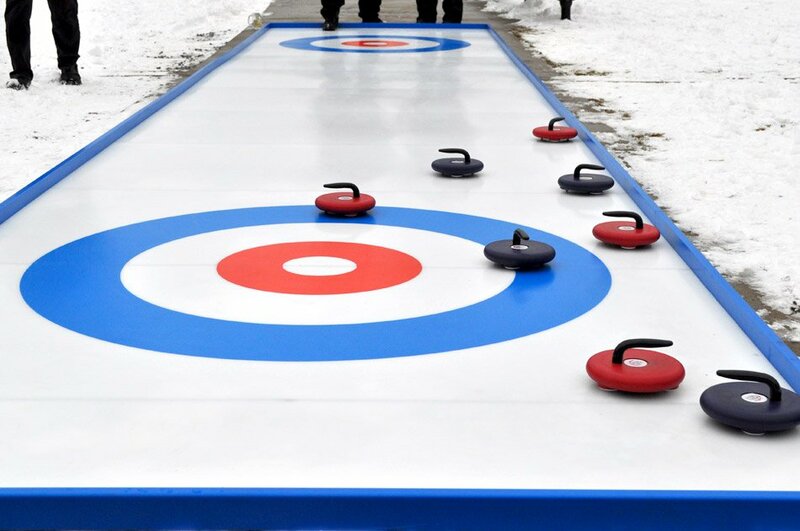 Rinks can be placed virtually anywhere, requiring only a hard, level surface. 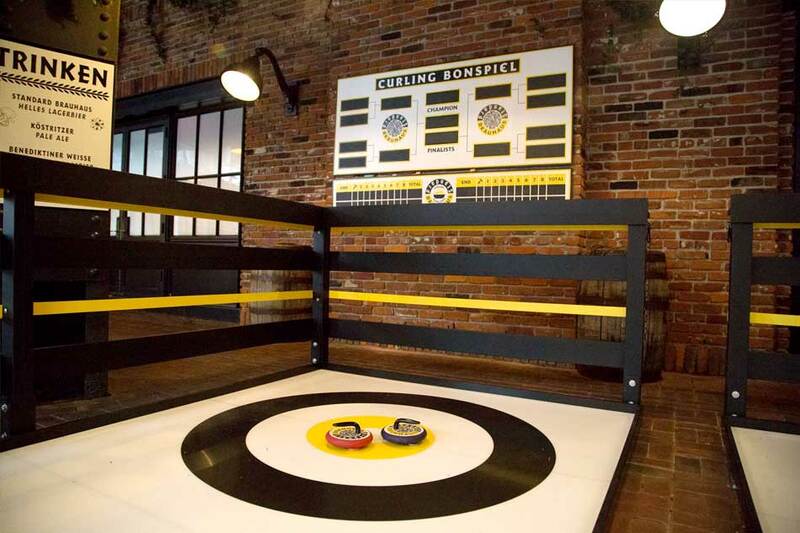 They are designed to withstand the elements, meaning indoor or outdoor is no problem. 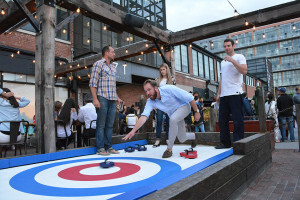 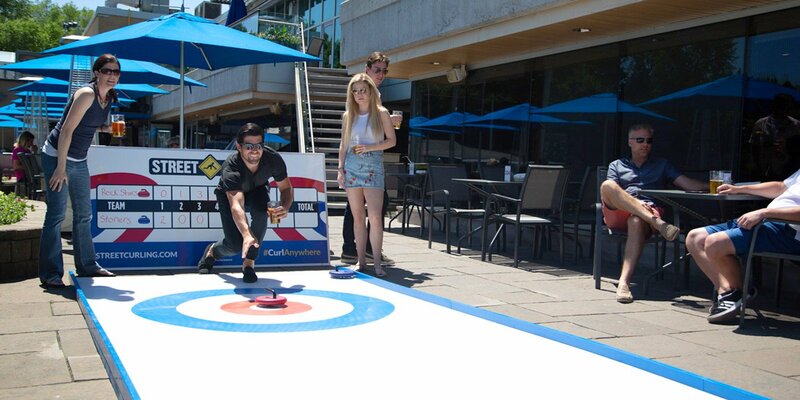 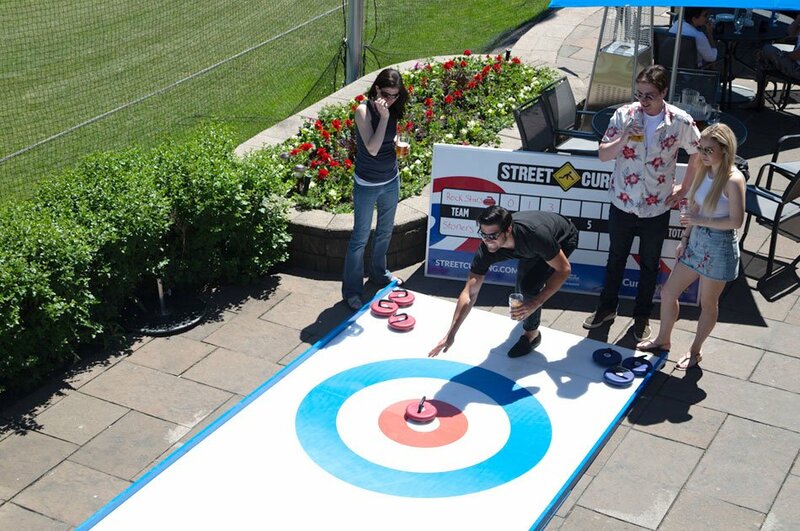 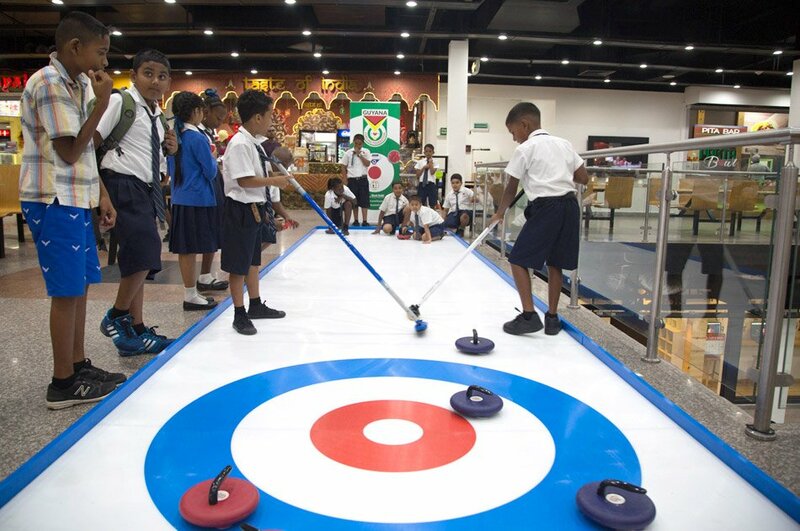 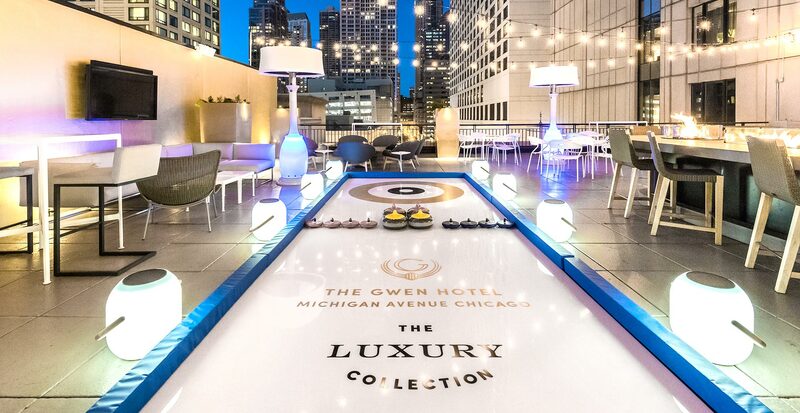 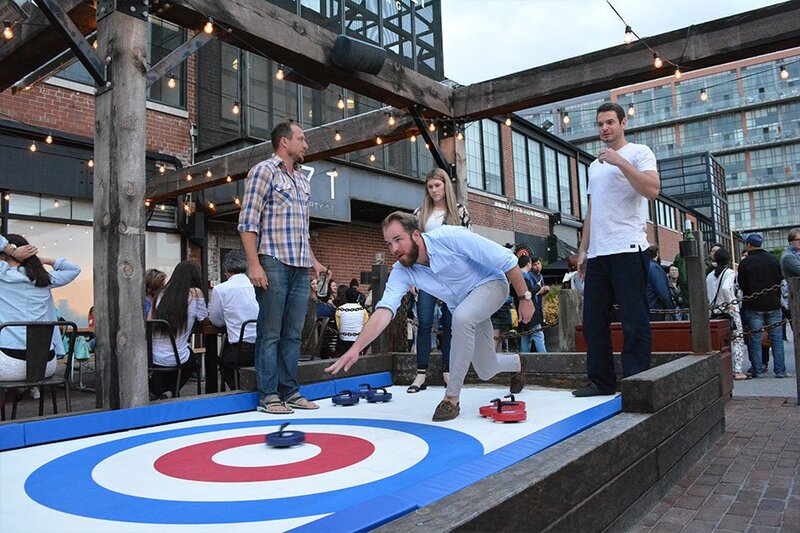 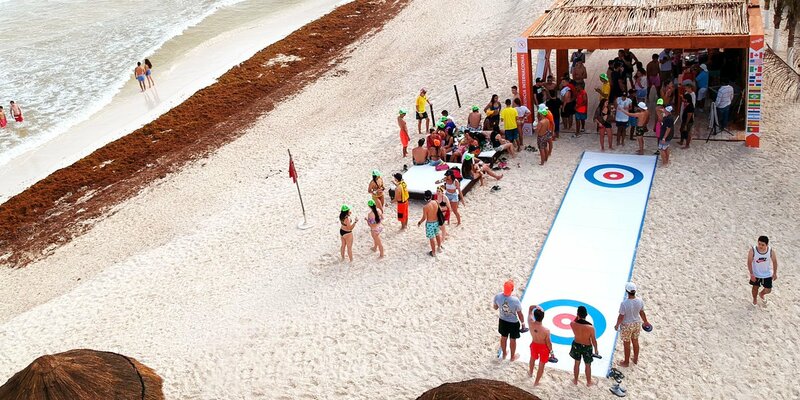 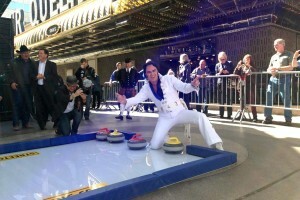 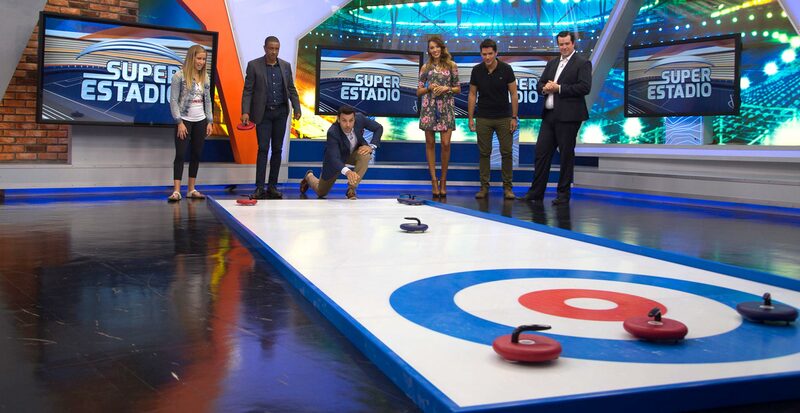 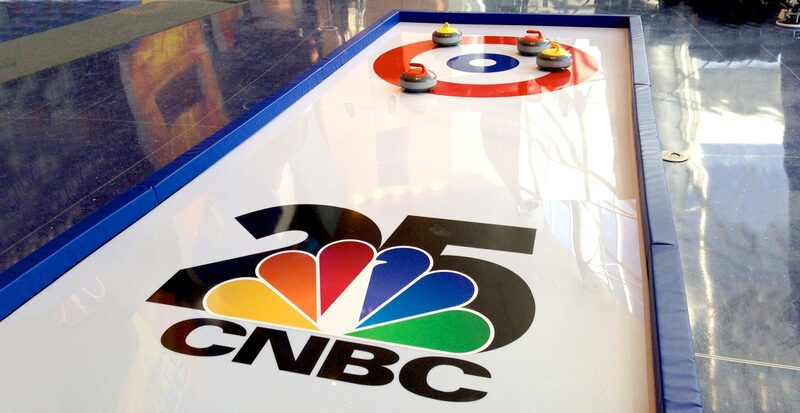 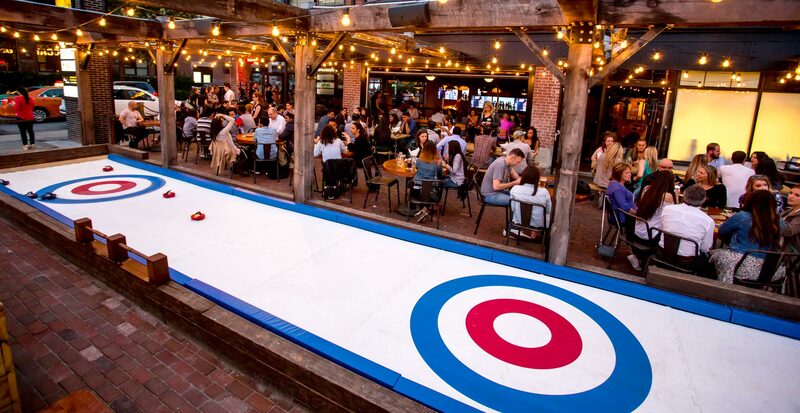 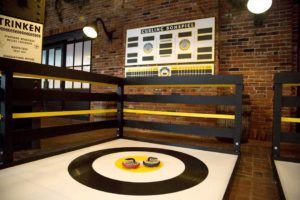 Whether you're looking to increase revenues, promote your facility or curling itself, Street Curling™ delivers. 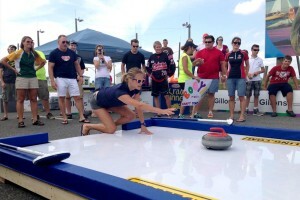 Street Curling™ can be played by people of any ability and age. Stones are easy to deliver, with pusher sticks available for those in a wheelchair or that cannot bend to floor level. STREET CURLING™ IS FUN FOR ALL AGES!